Pinky Promise Rag Doll is every girls dream girlfriend. She is stylish in hear leopard print dress, carrying around her teddy bear. 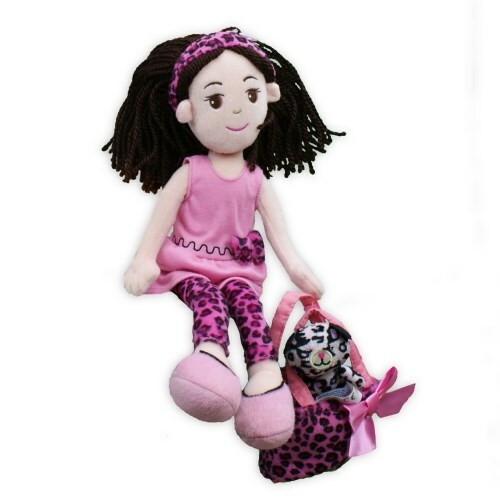 Pinky Promise Leopard Dress Doll measures 5.5" x 4.7" x 3.6" and is recommended for ages 2-4 years. Free Gift Wrapping and a Free Gift Card are included to help create a thoughtful presentation.